The best Airline and Astronaut costumes from this online costume store ship fast Australia wide! 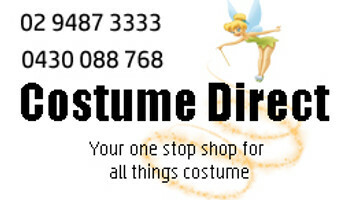 You'll be flying high when you soar into Costume Direct and explore our range of airline and astronaut costumes, perfect for costume parties, uniform themes and group or couple costumes! Fly first class in the perfect air hostess costumes or air hostess accessory kits - they'll have you beaming and safety-demonstrating with poise and grace, in a range of colours and sizes. For pilots, you'll be directing your crew and passengers to safety in one of our tailored suits or pilots accessory kits. Revisit Tom Cruise of the 1980s in a Top Gun jumpsuit or bomber jacket, complete with 'Maverick' or 'Goose' name tags and the iconic aviators. Our Top Gun costumes are available in mens, womens and kids sizes! Blast off into space and go intergalactical in an astronaut costume as part of the NASA exploration team, destined for Mars or the moon.